I've been staring at this pack of gum for about two months now. Oh, I am ever going to chew it? I would say to myself...and then promptly start a review of something else. Well, today is just a gum-chewing sort of a day, I think. 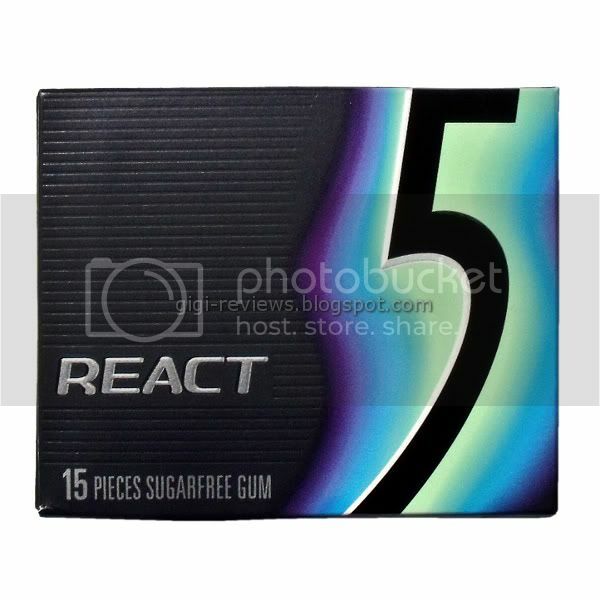 The two newest entries into the 5 line of Wrigley's are both simply called React. One is packaged in black and orange and is fruit flavored (and reviewed here). 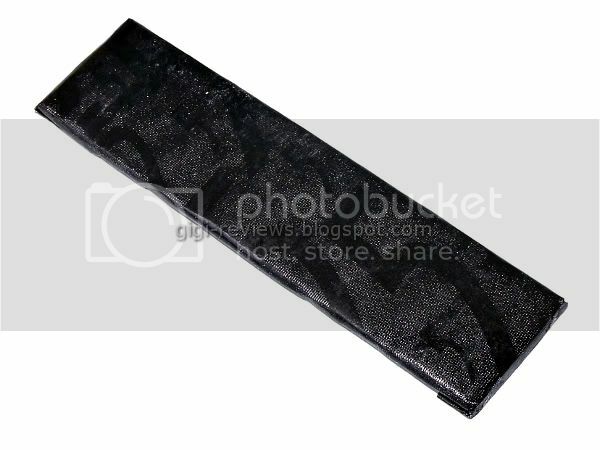 The other is this pack, which is black and blue and flavored with mint. I don't know why they didn't bother to actually give each flavor more of an individual name, but it is what it is. Maybe it was dreamed up by people who still think that Mary Kate and Ashley Olsen are the same person. 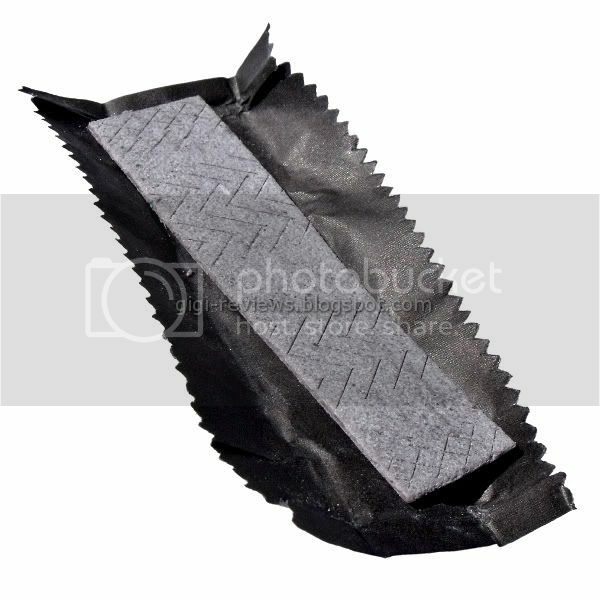 In any event, just like its orange sibling, each stick is wrapped in a spiffy black wrapper (which I love because it matches all of my clothing), and the gum itself is a pale gray that turns darker as you chew it. It also smells to high heaven of Ben-Gay. Seriously, why?!? Mint is a good smell -- so why muck that up and make me think of my own shriveling arthritic hands? Smell aside, the taste is more to the wintergreen side than like Ben-Gay in stick form -- but there also seems to be a tiny hint of spearmint hiding in there that adds sweetness and takes away from the almost burning strong mint it stars off with. In fact, once the initial burst of wintergreen dies out, there is about a three minute window of sweet mellow mint. Then, once that wears off, it dies down into what can best be called generic mint. The flavor does last an incredibly long time, and the look of the gum is interesting enough. If you are a fan of wintergreen flavor, this may be your dream gum. For me, I didn't love it. It's not Solstice (I just love that flavor), but it does taste better than I would have expected from the Ben-Gay smell. Contains soy lecithin, phenylalanine, aspartame, sorbitol, acesulfame K.
being an orbit fan myself, i tried this gum out of curiosity and because it was on sale... and i won't lie to you, i actually liked it! 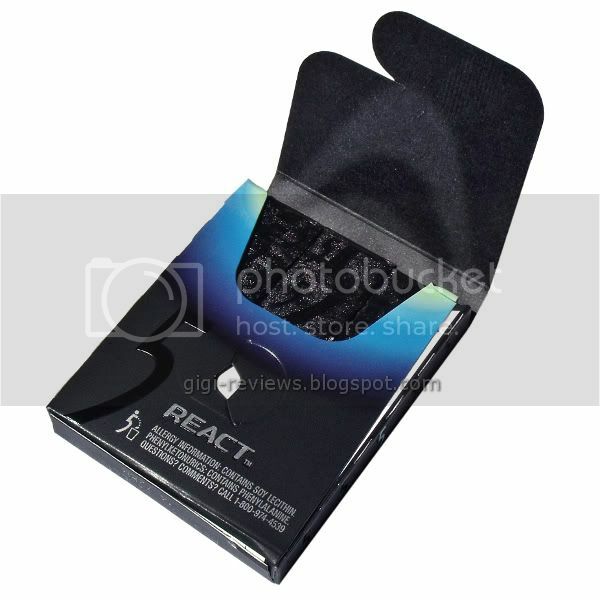 i would never give up my orbit gum but if i ever felt like changing it up a bit... this would be my go-to! PS: my name is gigi too! ha ha! First compliments on your very cool name! Second, it's not a bad flavor, it's still not my beloved Solstice. My second fave gum however is the Orbit Sweet mint. I do LOOOOVE that flavor.